This riveting new work from Paul S Flores, follows the struggle to reunite families in Stockton, California who have been separated by Immigration and Customs Enforcement (ICE), foster care, and the school to prison pipeline. Based on the testimonies of Fathers and Families of San Joaquin re-entry program participants, trauma center clients and staff members, “Pilgrim Street” imagines Stockton in the near future as family members attempt to recover connection to their loved ones in and out of the system without getting arrested or deported. In a gritty post-agricultural Stockton community known as “Pilgrim Street” 20 years in the future, “Ninyo” is an underground fixer who searches for lost children by hacking the biometric data archives of a fictional tech company GrupeTech, and solicits the help of The Mayor to create a plan to recover and transform Stockton’s children from victims to leaders of the future. As a theater maker, Flores intends to build community around “Pilgrim Street” throughout the state to help reduce trauma and recidivism in Stockton and California. 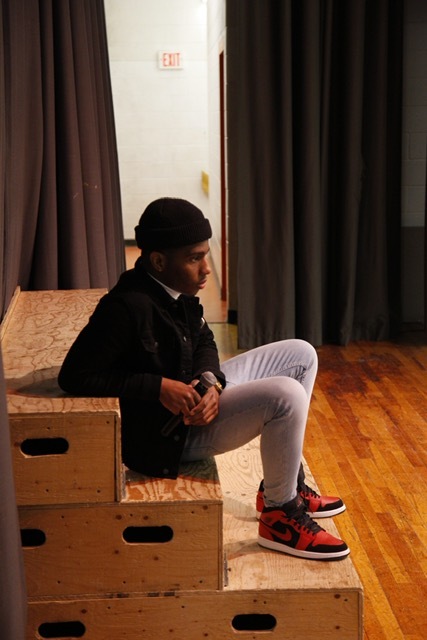 “Pilgrim Street” is an theater art project intersecting criminalization, immigration, and citizenship at a time when vulnerable communities are looking for solutions and strategies to protect themselves from violence at the hands of hostile state policies. RSVP for Pilgrim Street to add comments!